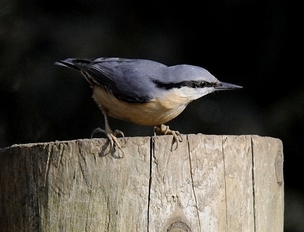 Look out for this colourful, active, striking bird in a garden or wood near you. On Sunday 18 May one visited a garden in High Corrie on three occasions apparently carrying food away. To date there are no breeding records for this species on Arran. The last Arran record was in July 2012 in Cladach and before that the previous record was in 2002. Well established south of the border this species has been spreading north. This is clearly shown in the adjacent map from the excellent publication Balmer, D.E., Gillings, S., Caffrey, B.J., Swann, R.L., Downie, I.S. & Fuller, R,J. (2013). 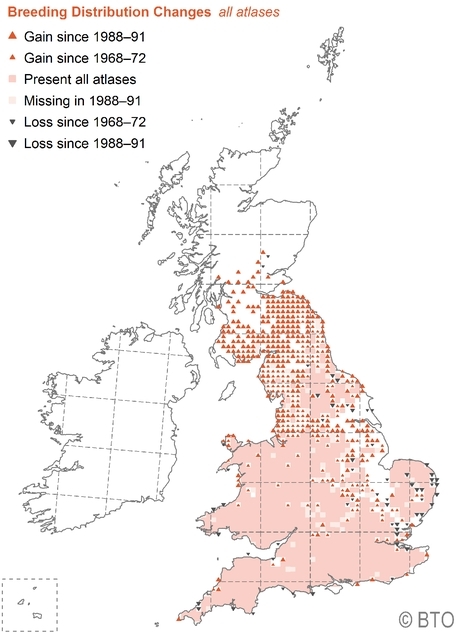 Bird Atlas 2007-11: the breeding and wintering birds of Britain and Ireland. BTO Books, Thetford. It first bred in the Borders of Scotland in 1989 rapidly moving into a large area of southern Scotland in 1990s. Now the nearest well established breeding area is in south Ayrshire including Ayr itself. 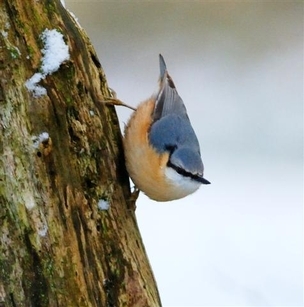 Like the Great Spotted Woodpecker, another woodland species, it may be time for the delightful Nuthatch to colonise Arran. As well as looking out for this attractive bird, look out for the local atlas which compliments the national atlas mentioned in the paragraph above, the Arran Bird Atlas 2007-2012, published by the Arran Natural History Society and the Scottish Ornithologists’ Club. It should be available from all good outlets throughout the island soon and is a must for anyone with an interest in the birds of Arran.